Xtracta is pleased to welcome Greg Bacchus as our new Development and Operations Manager managing the Engineering team. “The company is growing at a phenomenal rate with new customers from around the world using Xtracta each week. From Cyrillic to Chinese, we’ve got it covered. In response to our globally operating customer base, Xtracta now offers multi-language support. Increased globalisation brings with it the need to conduct business across time zones and languages. While Xtracta has been able to interpret a variety of currencies, it can now read and extract documents in virtually any language – from Cyrillic to Chinese – in the same way that it can read documents in English, so you can now confidently upload a document in any language with full support. For more information on this feature, please contact the Xtracta team today. 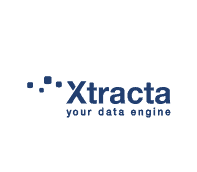 Xtracta can now extract data even when documents are embedded into an email body. The emails are converted into document format before the data extraction takes place. A handy tool for the minority of cases where documents are embedded inside of emails. Extracting from embedded documents within an email adds to the variety of input channels that Xtracta already offers our customers, including email attachments, drag and drop within a web portal, SFTP and via the Xtracta mobile app. For more information on this feature, please contact the Xtracta team today. Australian expense management software provider, expensemanager has recently added Xtracta’s touchless data capture functionality to their software, providing invoice and receipt data extraction and business process automation capabilities. Working through both a direct-to-customer channel and partnering within the ERP channel, expensemanager are a fast growing company bringing their customers the benefit of automatic document data extraction. We welcome them onboard as an Xtracta Software Partner. If you would like further details on the touchless data capture capability within expensemanager, please contact expensemanager on +61 2 9672 6880 or the Xtracta team. Xtracta’s document pre-processing is now even faster!